So, you’ve got an amazing idea. You’re going to blow away the competition. But your idea is for a marijuana-based product, and while you’re located in a state that has adopted laws permitting and regulating the adult use of marijuana, you haven’t spent your life studying the hundreds of pages of regulation that you will need to comply with to bring your vision to actual customers. And that’s a problem—while states may have adopted laws governing the production and sale of marijuana products, doing so without a license, with the wrong license, or in an impermissible manner will keep you from being able to sell your products. And, perhaps of greater concern to your friends and family, such extrajudicial sales could expose you to civil and criminal liability. 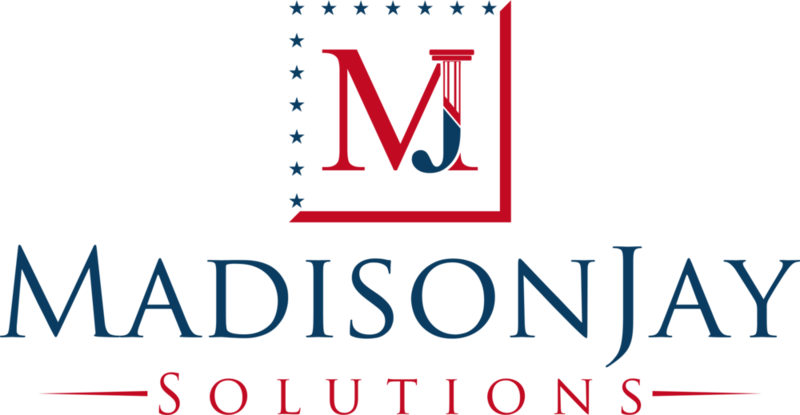 Before cofounding MadisonJay Solutions LLC, I was the General Counsel and VP of Business Development at MHW, Ltd., the foremost solutions partner for both aspiring and seasoned brands in the beer, wine, and spirits industry helping its clients with their accounting, compliance, and logistics needs to get their products to market. MHW has a venerable history, dating to 1934, and a wealth of established clients, more than 350 of them at last count. But at MHW, my favorite activity was actually joining our meetings with new potential clients: hearing their passion and explaining how we could help them get those products to their target market. And many of those very same issues are presented for marijuana products, with an additional layer of complexity layered on top by federal law that makes the sale of marijuana products illegal, even in states that have “legalized” them. So, what are some common first steps to consider? How Will Your Operation Work and What License Do You Need? Before you can enter the marijuana business, you’re going to need a license. But the license type that you need will depend on what you intend to do: a license to grow marijuana is not the same as a license to make marijuana edibles which is not the same as a license to sell marijuana to a consumer. Of course, the complexity does not end there. For example, consider California. Assume you are a cultivator: you need to project out how much you can cultivate profitably, taking into account consumer and manufacturer demand for your product since a cultivator needs a different license type depending on the size of canopy it intends to grow. As you’d expect, the greater the canopy size, the greater the annual license fee. And you cannot simply expand your facility over time: rather you will need regulatory signoff to alter your floorplan. Of course, that doesn’t get into more basic questions, such as whether you apply for an indoor or outdoor grow license. Similarly, a manufacturer would need to know the processes it would employ to produce its products: different types of solvents require different types of licenses. And it would need to consider whether its intended product is permissible at all. For example, California permits only naturally occurring caffeine to be included in a cannabis product. Thus, a cannabis-infused coffee beverage could be permissible if it met all other requirements, but a cannabis-infused energy drink would be an immediate non-starter. In other jurisdictions, the cannabis-infused energy drink could be greenlit. The upshot is that failure to understand the license you need (and whether you are in the right jurisdiction for your product) will cost you time and money. Lost time and money are painful in every industry, but can be particularly painful in an industry such as recreational marijuana where funding comes at a premium. How Are You Going to Convince People to Buy Your Product? You’ve come up with an amazing name for your product. Or you’ve come up with the perfect packaging design. Unfortunately, both are subject to significant regulation that may send you running back to the drawing board at the worst possible moment. Understanding what you can and cannot do to brand your product is essential to cementing your place in consumers’ minds and distinguishing yourself from the competition. Likewise, there are not only regulations that may prohibit you from saying what you want on your product’s labels, but there are also regulations that will require you to make specific disclosures on the face of your packaging and requiring a minimum-sized font. This required information should be conceptually familiar to those with a background in the beverage alcohol industry (or packaged food to some extent), though the specific requirements differ. The key is getting it right the first time to avoid wasting your time and money as your competitors swoop in. For budding cannabis entrepreneurs, a unique vision is an essential prerequisite for success. But while that vision is a necessary element, it is insufficient standing alone. Indeed, these illustrative issues are just the tip of the iceberg. To succeed, you’ll need to navigate the regulatory maze to get your product to consumers as quickly as possible, without wasting your finite resources on missteps.